Sometimes it may requires that you don’t want to see number with decimal into OpenERP. OpenERP is using “Float” datatype everywhere and it is not feasible and possible to change datatype. 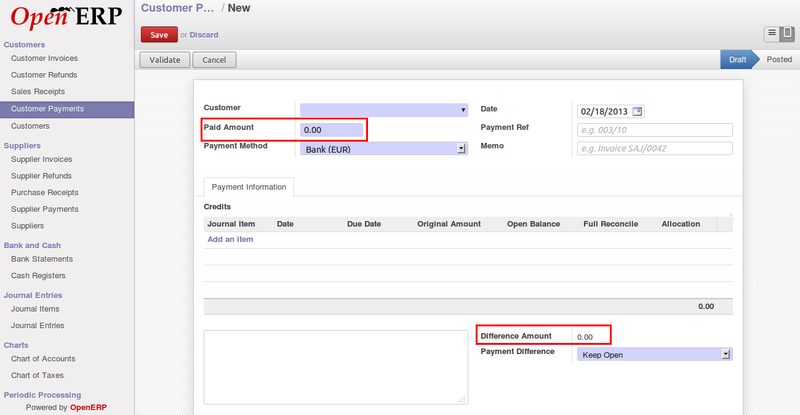 For example, in multi currency environment, you may require to remove decimal numbers in some of the currency. To overcome from this problem, we have come with generic solution which makes your work very easy. 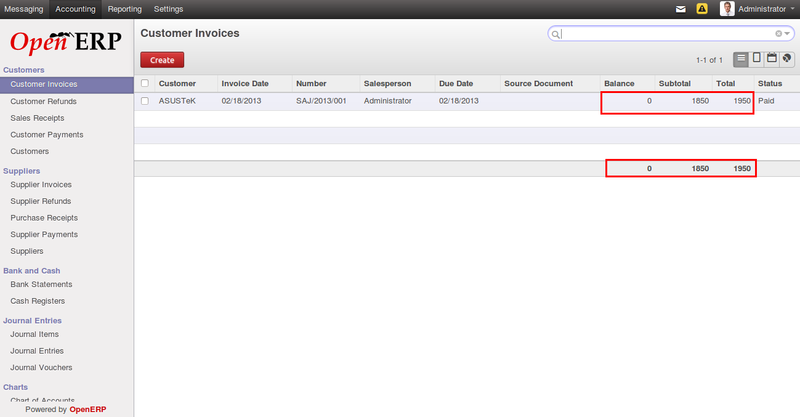 Let’s see some OpenERP form where you can see numbers with decimal before using this feature. 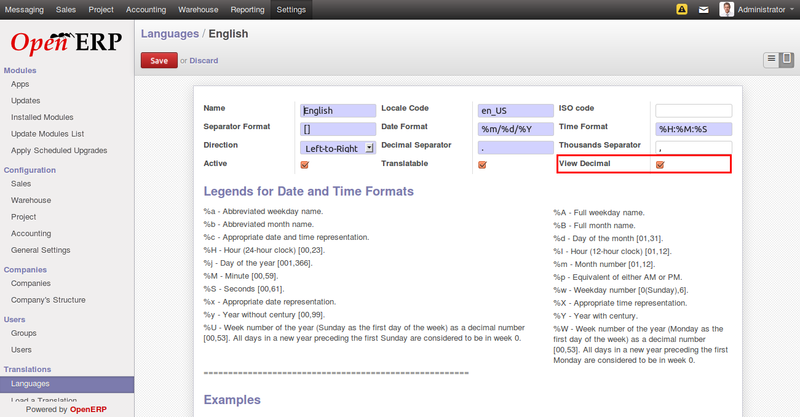 We have added new field for configuration into language. 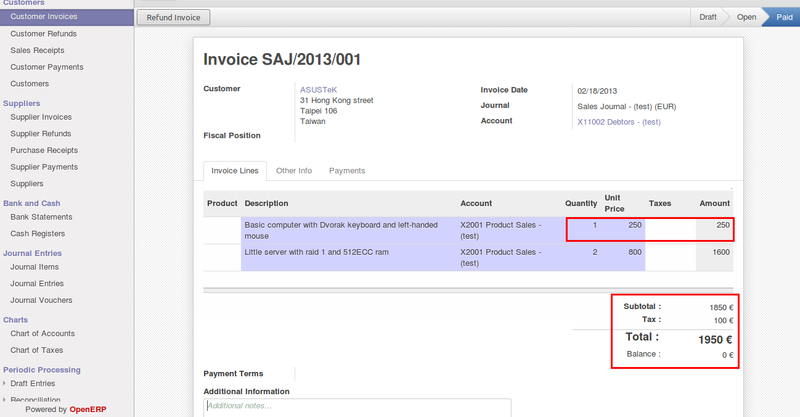 This is “List View” with float type fields and also with sum of those values. 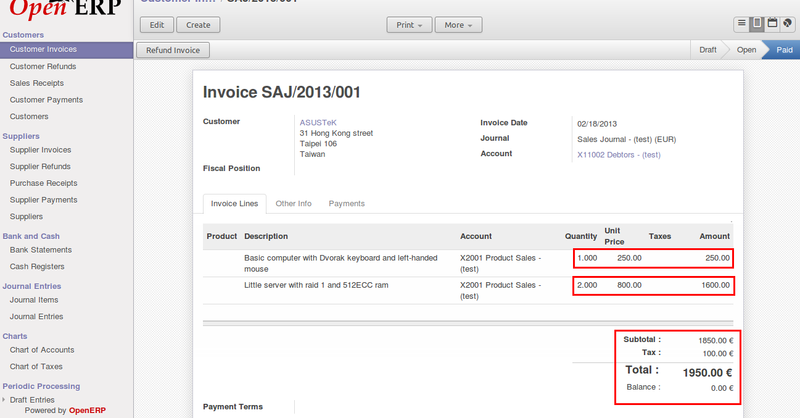 This form contains numbers with decimal into “List View” and also display with currency in Total. 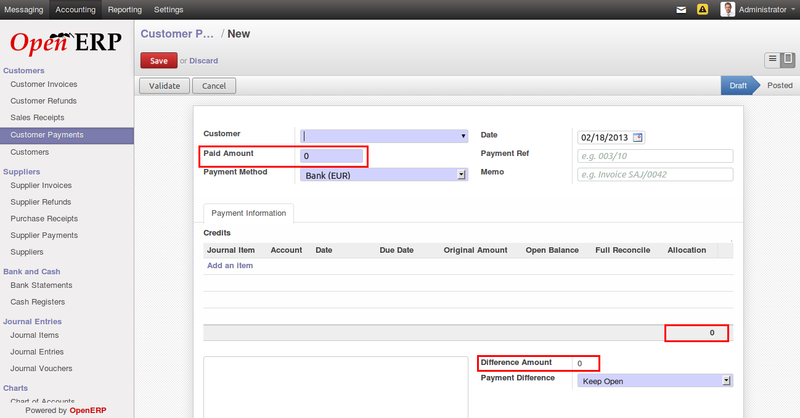 This is form view with some float type fields. 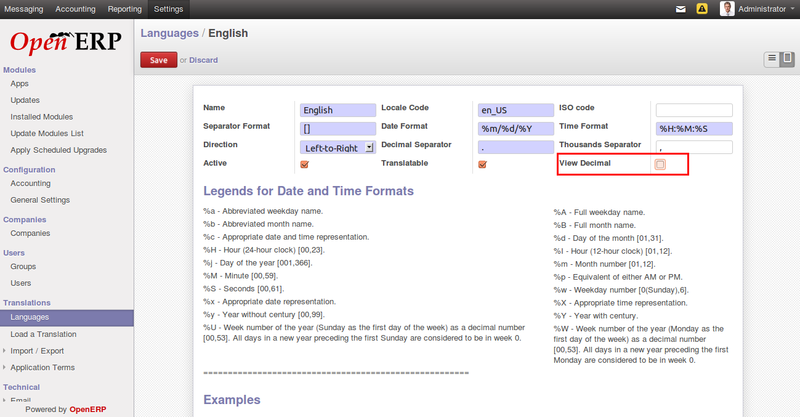 Now, we are going to make unchecked “View Decimal” field from Language form. And reload OpenERP interface. Now, it is very easy for end users to disable “decimal points” from OpenERP. Looks like you forgot to mention *how* you did that and *where* is the module, or maybe I missed a link? You need to restart OpenERP server and Update module from command prompt or web interface. does this work on Odoo 8.0?, does it also work for things that go to the printer? Hello! Github and Odoo 8 support please, thanks!